Some abilities require a target to use, and usually the opponent that's directly in front of you and within range of your abilities will be targeted. You'll know when you're targeting someone when the cross hair cursor snaps to them, and their information appears on the top of the screen. 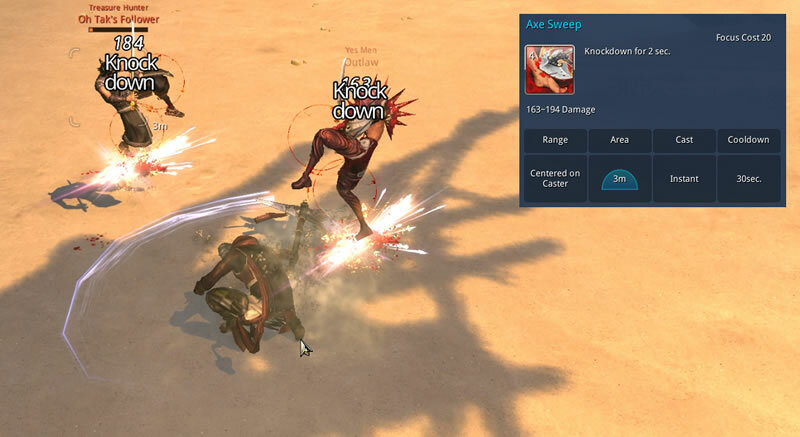 The combat in Blade & Soul is dependent on your actions and reaction, and many of your martial abilities are triggered upon certain events. 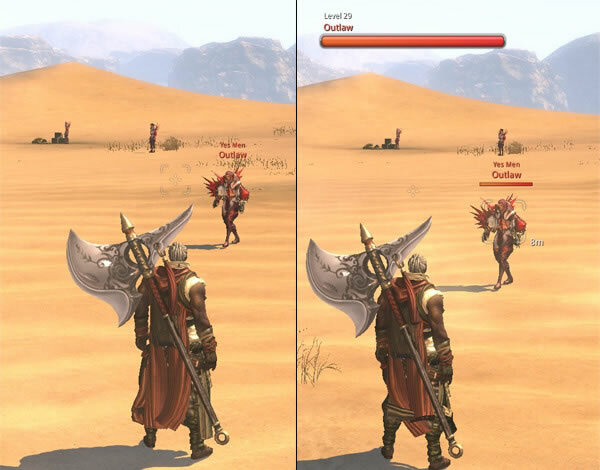 Your action bar at the bottom of the screen shows the skills you have available in general situations; however, these skill bars will shift to display abilities that are available to take advantage of a given situation. 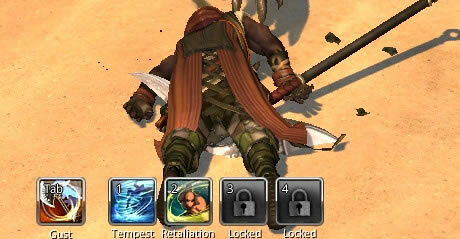 For example, if you're knocked down as a Destroyer, your skill options will change to a give you a number of different abilities that allow you to jump back up into the battle. But be quick, or you could lose your chance to respond. Much like you are able to block and counter an opponent's attacks, the other martial artists within the game are able to do the same to you. You can counter their block, and they can counter your counter, and so on! It's a combat system that will keep you on your toes and have you be ready to react when an opportunity arises. We'll share more on how combat for each class works as we get closer to launch, but we'll also be showing you some of these combat basics in our livestream on September 9 at 10am PDT. To keep up to date on content reveals, announcements, and more be sure to follow us on Facebook and Twitter, and also be sure to sign up for our newsletter.